Please contact your state level elected officials and ask them to vote for HB 356! Georgia is one of few states in the US that doesn’t title vessels. As a result, tracking ownership over the course of time, especially as a vessel changes owners, can be difficult. Georgia ranks in the top 5% of states in the nation in boat theft – partially due to the non-title issue. Some of the abandoned vessel problems we have been faced with on Lake Lanier is attributable to not having boat titles and not being able to trace the legal owner. Some lenders are less willing to finance boat sales in a non-title state. That leaves fewer lenders willing to finance, which translates into less competition in this market, and higher interest rates charged on boat loans to consumers. The boat title registration would take the place of the sales and ad-valorem tax system we current operate under for new and used boat sales, and would replace the current DNR registration system. It would work in a very similar fashion to how we currently handle our annual vehicle registration. The boat title registration would streamline the system and would move us to a system that consumers already understand. The boat title registration would NOT be an additional tax. It would simply change the process around how we currently pay boat tax. The proposed legislation calls for a 4% tax rate on vessels — this 4% replaces the current boat sales tax and ad-valorem tax. The proposed legislation calls for an implementation date of 1/1/2016 – but that is subject to be moved out to 1/1/2017 pending feedback from the agencies affected by this change. For specific details regarding the bill, please click the below link. Below is a list of state representatives and state senators that represent areas surrounding Lake Lanier along with the office phone and email contact information. The Hall County SPLOST VII 2015 voting is now open. This is a vote to extend an existing SPLOST that is expiring in July 2015 — this would NOT be in addition to a current sales tax. 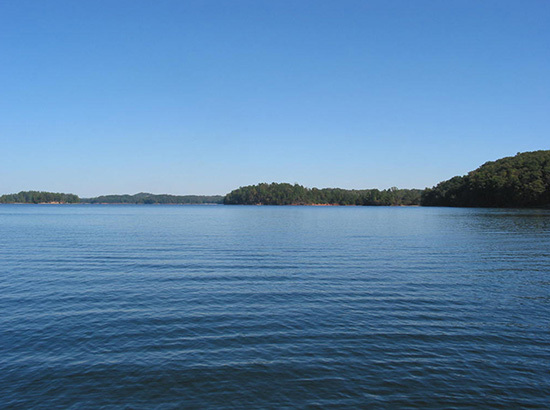 While there are several important things addressed in this SPLOST VII, of particular interest to Lake Lanier stakeholders, there is money earmarked for Lake Lanier shoreline preservation projects that will benefit lake users. Without a SPLOST for all the items addressed in this list — road improvements, emergency response upgrades and equipment, etc. — the tax burden for these items would probably have to shift to the property tax bills. This is from Forsyth Commissioner Cindy Mills’ Facebook page regarding the proposed Wildcat Creek Park in North Forsyth. Cindy Jones Mills Due to the potential inclement weather, the community meeting to discuss Wildcat Creek Park scheduled for Wednesday, February 25 at the Coal Mountain Park Community Building has been rescheduled for Wednesday, March 4 at 7 p.m.
Cindy Jones Mills It’s a lake park at the end of Crystal Cove road that the Corp of Engineers just gave to us. We voted to design it and I was having a community meeting to get input from the area. It’s 28 acres at the end of Crystal Cove road. It’s really early on. We have just voted to send it out for a RFP for a design. This is just to get community input. I had sent out 250 letters inviting people who live in that area to a meeting tomorrow night and now bad weather or the threat of it has caused us to delay until next week. I hope to get some good input from the people who live in that area. Thanks!! The US Army Corps of Engineering is seeking public comment regarding a change concerning community docks. Comments are due by 4:30PM, December 15th to the email address listed below. MOBILE, Ala. -The U.S. Army Corps of Engineers (USACE), Mobile District, is soliciting public comment on a reversal of a change to the Lake Sidney Lanier Shoreline Management Plan (SMP) that was made in December of 2012 concerning community docks on Lake Sidney Lanier. USACE is proposing to change the SMP to allow these permittees to have until the expiration of their current permit to obtain the LIA. “For any new developments seeking a community dock, an approved LIA preliminary plat or a letter from the LIA attached to the plat stating that it meets the LIA requirements must be provided before a conditional community dock permit will be issued,” Robbins said. Anyone who would like to submit comments on the policy revision have until 4:30 pm Eastern Time, December 15, 2014 to do so. Comments may be emailed to docks.lanier@usace.army.mil, with the “2014 SMP Update” in the subject line, or mailed to Lake Sidney Lanier, Shoreline Management, C/O 2014 SMP Update, P.O. Box 567, Buford, GA 30515. Pirates of Lanier Poker Run — July 18th and 19th, 2014! The Lanier Partners of North Georgia are hosting their annual Pirates of Lanier Poker Run on July 18th and July 19th, 2014. This event is a fundraiser for Camp Sunshine, a camp for children diagnosed with cancer, and the Boys and Girls Clubs of Hall County. The Lanier Partners have asked the Lake Lanier Association to get the word out to our members about the event and to let everyone know that this year there are five different designated Spectator Areas to allow people who may not be participating in the Poker Run to safely come out and watch the excitement of the event. click here to see the Spectator Map! Of course, if you want to participate in the Poker Run, you are welcome to do that too! There are all kinds of different boats and floating creations that will be in this event and it is a lot of fun to be involved. There will be a mandatory Captains Meeting on Friday, July 18th and the Lake Lanier Association will be in attendance. If you are participating in the event, be sure to stop by our table at the Captains Meeting and say hello! click here to register for the Poker Run! The Lake Lanier Association is looking for a volunteer Content Editor for the association’s quarterly newsletter. The Content Editor would be responsible for defining the topics to be included in upcoming newsletters, and then either writing the articles or coordinating with other LLA volunteers, LLA staff, or other parties to get the articles written, photos submitted, etc. The Content Editor would not be responsible for layout and design, nor would the Content Editor be responsible for coordinating printing or mailing. If you have interest and availability to serve your community in this capacity, please contact the LLA by email at lakeinfo@lakelanier.org.